I absolutely live in boots in the winter all year round and most of mine have been getting a bit worse for wear lately so I decided it was time to get some new ones. I struck lucky with these two pairs though as both of these were only £10! I know, I'll give you a minute to recover from the shock. Okay, back to business. 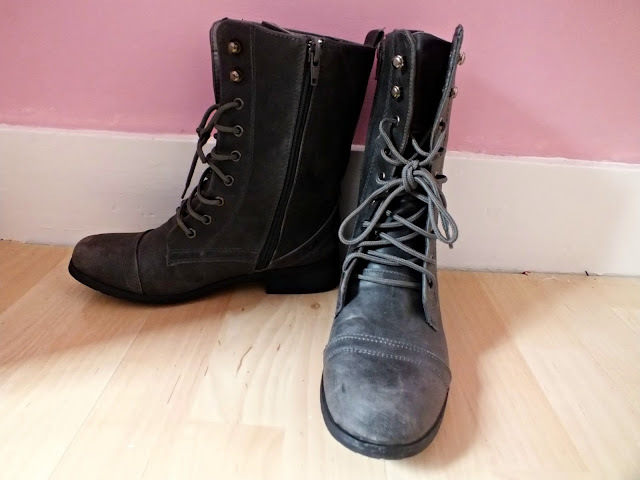 The first pair I found are the Military style boots, which were just £9.99 on ebay (link here), I've paid much more for boots like this in the past and I absolutely wear them to death, so I thought I'd try my luck and go for the cheap pair just to see how they measure up and I'm happy (if a little pissed off) to report they are exactly the same as the pair I paid £30 for last year. They're super comfortable and true to size, which is good as I've had bad luck with shoe sizes on ebay before! They arrived super quickly too, so that's fab. I love the beaten up style of these and think they look great with almost anything. On trend or not, Military Boots will forever be a staple in my wardrobe. The second pair are actually a bit brave for me, but they were a £10 Primark bargain, so with that in mind and boyfriend talking me into it, I decided to go for it. I'm so glad I did though, I don't usually wear boots that aren't lace up, but I love these. I think they'll add a great edgy look to an otherwise girly outfit, or just add something a bit more interesting to a simple look. There were lots of these left in my local Primark so if you're interested it's definitely worth a look. I'll definitely have to put these into an outfit post sometime, so let me know if you'd like to see that. What do you think? Would you wear either of these? Those black studded ones are amazing! £10 is such a bargain! love both of them! 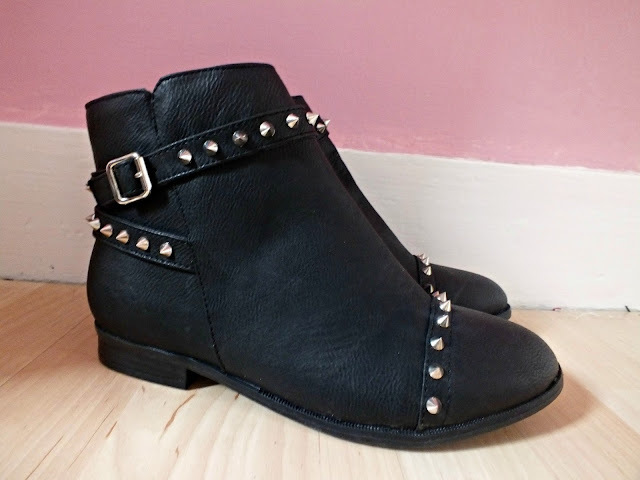 the little booties with the studs are adorable - want!! 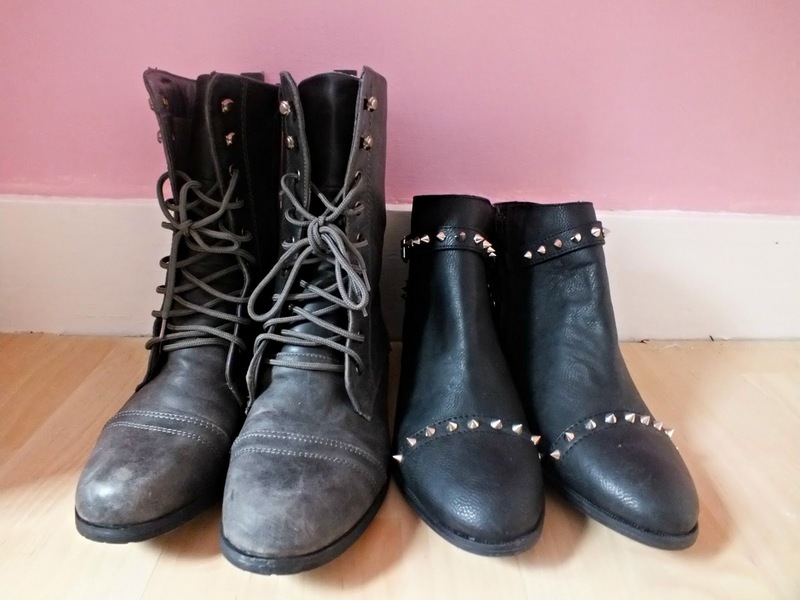 I love military boots, they add such a cool grunge look to the outfit! love the studded boots! I love boots and wear them the whole year! They're just so comfy! I like both of them. And great choice of getting the other pair too, I think you will incorporate them in your style very well. Can't wait to see your next outfit post. Bargainess. 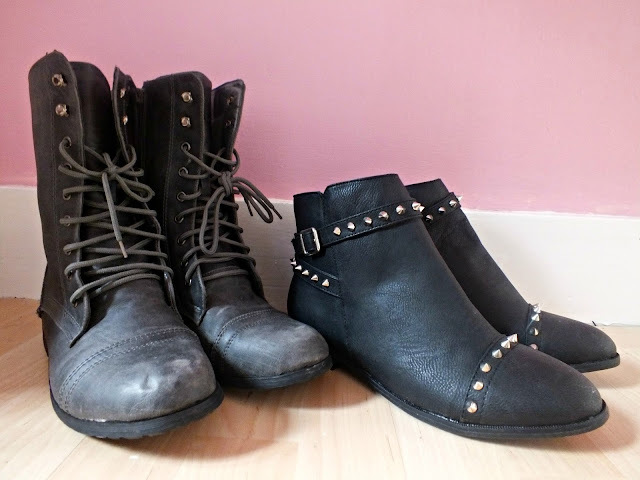 I would totally wear both, I live in boots all year round!